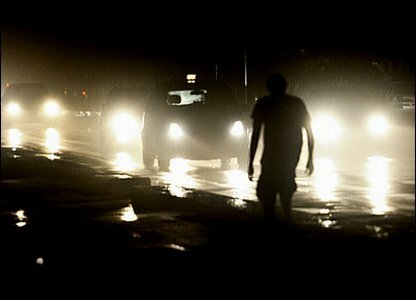 Several Latin American countries have recently been hit by major power shortages, raising concerns that the region is facing a serious energy crisis. In some countries, like Venezuela and Ecuador, blackouts have become increasingly regular. But there have also been other less frequent outages as far afield as Cuba and Brazil. Earlier this month tens of millions of people in Brazil and Paraguay had dinners by candlelight due to a massive blackout in both countries. The authorities in Brazil said the problem was caused by a severe storm which hit transmission lines that take power from the hydroelectric Itaipu dam on the border with Paraguay. But if that was a one-off electricity cut, in neighbouring Venezuela, most provinces have had power shortages nearly every day in the last few weeks. In Ecuador, President Rafael Correa was forced to introduce emergency measures earlier this month to deal with an energy crisis there. Cuba too is facing similar troubles. Reports say the authorities are planning "extreme" measures which are said to include the closure of some factories to save fuel. Experts are now asking how is this possible in a region with such an abundance of natural resources? Some governments have blamed the energy crisis on global warming. Countries like Venezuela and Ecuador are experiencing their worst droughts in 40 years. This has led to a huge reduction in water levels at hydro-electric plants which supply electricity. 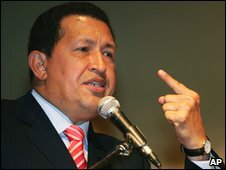 The Venezuelan President, Hugo Chavez, says the drought is being caused by the climatic effect of the El Nino weather phenomenon. Venezuela has seen a 40% increase in demand for energy in the last 10 years, and President Chavez says this too is contributing to the problem. He also thinks Venezuelans are wasting energy and especially water which is in short supply. "Some people stay in the shower singing for at least 30 minutes. Three minutes is more than enough," said Mr Chavez. "One minute to get wet, another to put the soap on and the third to take it off. Anymore time than this is a waste." However, some observers say the energy crisis cannot simply be attributed to El Nino and global warming. Daniel Montamat, a former Minister of Energy in Argentina, is in no doubt that "it is the result of a lack of planning long term in the energy sector". Nestor Luna from the Latin-American Energy Organisation agrees. "To think that the current power cuts are related to the weather would ignore the needed socio-economic improvements that force us to adapt and improve our life conditions." Daniel Montamat says another problem is that some governments do not have several sources of energy. "Seventy per cent of the energy consumed in Venezuela comes from hydroelectric power plants. 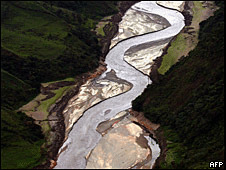 In Ecuador there is a similar situation of high dependence and a lack of diversification of supply sources," he explains. Experts say a woeful lack of investment by governments across the region means they will have to spend vast sums in the future. The Regional Commission of Energy Integration, which includes public and private companies, estimates that Latin America needs to spend about US$10 billion (6.7bn euros) in the next decade to be able to supply 100 million people who have no access to electricity. But, in the midst of a global recession, investment tends to become the first casualty as governments tighten budgets. In Venezuela, for example, only a quarter of the allocated budget was spent on investments in energy. Experts also say if the region wants to solve the problem then there needs to be much greater integration and co-operation between governments in the energy market. "What we're looking at is that every country is seeking its own way out. For instance, all the current importers of Bolivian gas are rebuilding pipelines to buy gas somewhere else," says Daniel Montamat. In recent years Bolivia has nationalised its gas industry and increased the cost of its energy exports, a move which some say has soured relations with Brazil and Argentina who import supplies from them. Chile no longer relies on regional supplies of energy and now imports its gas from Indonesia. According to the experts diversification of energy sources is key to ending power shortages, not simply sourcing resources from far away places. In some countries, such as Argentina, Mexico and Brazil, nuclear plants generate electricity to meet a few percent of their needs, and there are plans or discussions about increasing the number of nuclear plants. Even bio-fuels are being seen as an alternative by some governments in the region. Unless governments find a viable lasting solution then candlelit dinners could be a regular feature in many Latin-American households for some time to come.